Buy latest designer mehendi lehengas at best prices. Shop for gorgeous mehendi lehenga online at Kalkifashion. Weddings are one of the most special chapters in one’s life. Indian weddings are called big fat weddings for a reason; it is a series of infinite rituals and scores of functions like sangeet, mehendi, haldi, cocktails etc. The number of outfits a bride and a groom require is directly proportional to the number of functions. Mehendi is one of those wedding requisites that holds high weightage as exquisite henna motifs are being etched on the hands of the bride. As crucial as this ceremony is, selecting the right mehendi lehenga design is difficult. Here are a few tips and lehengas for mehendi ceremony ideas that will make you look nothing less than B-E-A-U-T-I-F-U-L on your big day. Taking the correct pick from a colossal bridal dress collection is arduous. During the mehendi rite as a bride you know you have to sit for long hours while meticulous designs are diffused on your hands and feet. 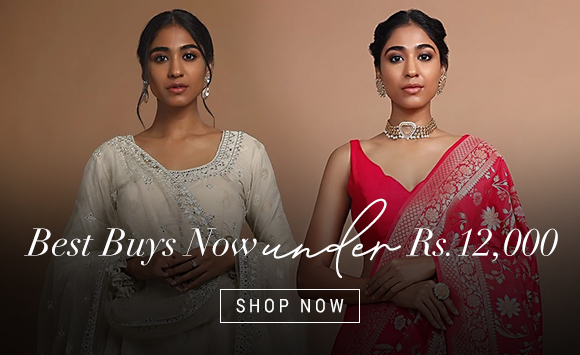 At such times, your basic mandate in selecting lehengas for mehendi ceremony should be the ones that are light in weight, offer super comfy feels and are short-sleeved or with no sleeves or would attract the risk of getting smeared all over. Mehendi ceremony is usually scheduled during the day. So, choose the latest mehendi dresses in colors that are best suited for day wear. These include pastels like mint green, peach, off-whites, creams, grey mélange etc. Rather than going for solids, choose subtle floral prints, light embellishments, gota work and embroidered mehendi lehenga designs. 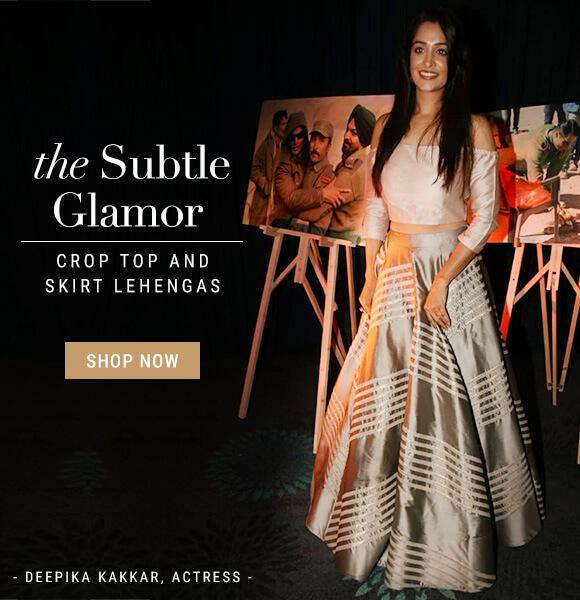 If wearing a lehenga is not your thing, there are always other options for the same. The bridal dress collection for mehendi is a full-sized array in a situation like that. You can explore the outfit possibilities like cape dresses, indo western gowns, dhoti pants, crop tops and palazzos etc. on Kalki Fashion’s portal where dresses are categorized as per the occasion, price and clothing preference. As a bride, we understand the time crunch you must be facing and so we also offer our services on WhatsApp video or FaceTime on appointment basis only. Choose us to shop wise and nice! We offer both readymade and made-to-order lehengas for mehendi ceremony.